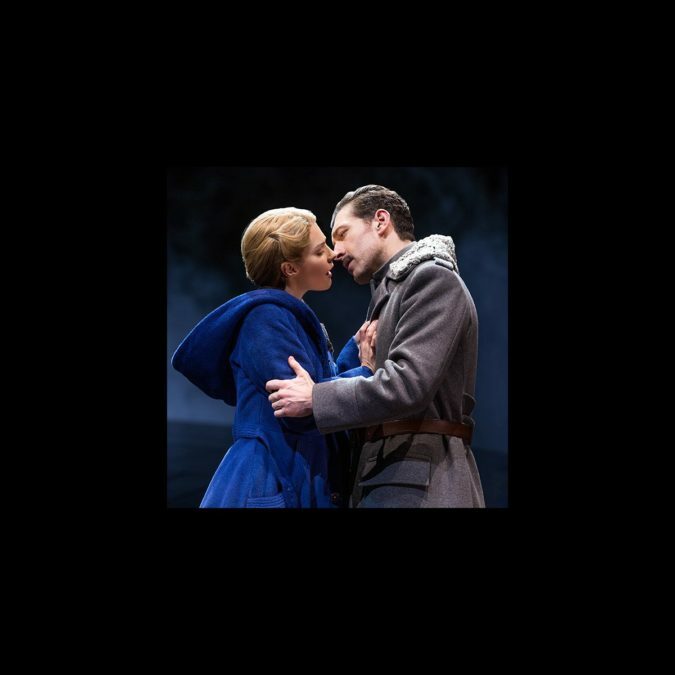 Epic romance Doctor Zhivago, which ran on the Great White Way earlier this year, will release a cast album on July 31 on Broadway Records. The Des McAnuff-helmed production officially opened at the Broadway Theatre on April 21 and closed on May 10 after 26 preview and 23 regular performances. The tuner features a book by Michael Weller, music by Lucy Simon and lyrics by Michael Korie and Amy Powers. Based on the 1957 novel by Boris Pasternak, the romance is set during the final days of Czarist Russia and follows Zhivago, a political idealist, physician and poet. His life is tossed by the tides of history as he is torn between a life with his devoted wife, Tonia Gromeko and the passionate and mysterious Lara Guishar. Zhivago is not alone in his yearnings for Lara, competing for her affections with the young revolutionary Pasha Antipov and the aristocrat Viktor Komarovsky. The company includes Tam Mutu, Kelli Barrett, Tom Hewitt, Paul Nolan and Lora Lee Gayer.